The Valley Fire has grown into a 61,000-acre inferno that's claimed a life, gutted at least 400 homes and displaced 13,000-plus residents. But communities in hard-hit Lake, Napa and Sonoma counties appear determined to get back on their feet. And people from across the Bay Area want to help. Over the weekend, the Red Cross set up evacuation centers at the Napa Valley Fairgrounds in Calistoga, the Highland Senior Center in Clearlake and the Kelseyville Presbyterian Church. People also took shelter at Kelseyville High School. A number of other locations, such as New Hope Fellowship Church and Cole Creek Equestrian Center, offered shelter to evacuees and their small pets and even parking space for RVs. By Monday, Red Cross officials tweeted that they had plenty of clothing, blankets, personal hygiene provisions and food – for humans and animals alike. However, financial donations would bolster relief efforts, officials told NBC Bay Area. A website – titled LoveLakeCounty.org – was also outfitted with a list of donation centers, including Sonoma County Humane Society in Santa Rosa, Bon Marche Thrifty Store in Sonoma, Seventh Day Adventist Church in Lakeport and Calderwood Inn in Healdsburg. People were asked to drop off tents, chairs, flashlights, band aids, diapers, pillows, socks and more. Katie Greer described the resource as a "live, constantly updated list for where to drop off things and who needs what." People also took to Facebook to create support groups for those affected by the Valley Fire. One such page had had 961 members as of Monday morning. Messages poured in about emergency housing, food, animal and child care and missing people. 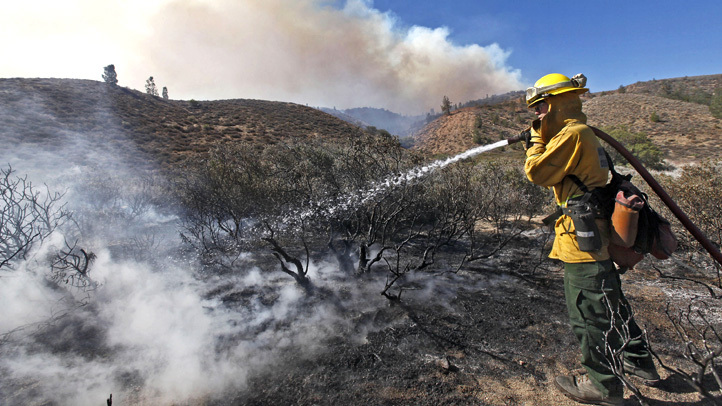 Another such page, called the Valley Fire Donations & Support Group, amassed 1,836 members. Some offered to drop off bags with toys, coloring books and snacks for children while others offered their RV parks to people who needed a place to stay. Still others requested volunteers to distribute power bars, beef jerky, chips and snacks to firefighters. The Sebastopol-based Community Market at the Barlow also hosted a donation drive Monday. Facebook also proved to be a powerful tool for people looking to share pictures of lost pets so they could be reconnected with their owners. Meanwhile, county officials warned Valley Fire victims of a scam making its round on social media. Scammers say they are part of a news crew covering the fire and will check on the evacuees' homes. All it is, though, is a ploy for burglars to steal their belongings, officials said. Evacuees can register with the Red Cross at the Safe and Well website or call 1-800-733-2767 to let their families know they are safe. For more information, visit the Cal Fire website.